We have received the following questions from Public Sector Marketing Pros about the accredited Diploma in Digital Communications for Public Sector. So, we have answered them here for you too. If you have any more questions, send them our way to [email protected] and we will update this page regularly with the new questions and answers. Is this Diploma for me? If you work in a public sector or Government organisation and want to learn how to maximise your engagement and interaction with your audiences, be skilled at handling any unplanned situations or crises and/or need to update your existing marketing or communications skills from a digital perspective then yes, this Diploma is for you! If you are currently seeking promotion or need to lead out digital transformation in your organisation, then this Diploma is certainly for you. The Diploma in Digital Communications for Public Sector is based around 12 core modules. But really, the Diploma will equip you with the knowledge to strategically manage your digital communications develop your critical thinking and strategic approach to overall digital communications in your organisation. It provides the learner with an overview of their organisations’ digital strategy, identifying strengths and weaknesses, allowing you to plan your communications in advance, while also reacting to real time changes in your environment. The Diploma is delivered exclusively online using video which is supplemented by reading material, practical tutorials, templates and guides. A new module is released each month over the 12 months, with bonus modules added regularly. This Diploma works best when you can fit it into your work life. Each monthly module should take two hours, meaning you can complete in your work setting, maximising your knowledge base in your real-life work scenario. The bonus content is there to supplement your knowledge and tactical skills and in fact this can be used while you are at work helping you to complete digital marketing and social media tasks. I want to do the Diploma, but feel I have enough on my plate with work already? Many people have queried juggling a course while working full time, but don't forget this is a digital, and direct to you mode of study, that has been designed to only provide relevant and targeted content, quickly and effectively. Joanne Sweeney-Burke has over 11 academic qualifications, as well as professional experience and she knows that practical learning is best. You won't be overwhelmed by reading material, exercises or assessments. Instead you will learn how to apply newly learned knowledge from each monthly lecture into your day to day duties. Joanne has put her knowledge from delivering training and workshops into an easy to schedule monthly module. Plus, you can always reach out to her if you are going through a busy period at work and get extra help! Joanne Sweeney-Burke is a former broadcast journalist, PR lecturer and CEO in various roles. Apart from being a busy entrepreneur and podcaster she is also a published author. Joanne developed this Diploma after almost a decade working with Public Sector organisations who needed help with their digital communications. Joanne founded Public Sector Digital Marketing Pros once she realised she could fill the skills gap that had arisen. Furthermore, Joanne founded the Public Sector Digital Marketing Summit, an event targeted at the, often forgotten, public sector. Joanne realised she wasn't able to get to every organisation as demand increased, and so she developed the Diploma as a way to share knowledge and skills with those that need it. 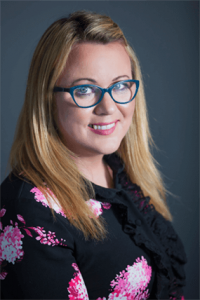 Joanne’s clients include Google, EPP Group in the European Parliament, the HSE (Ireland’s national health service) and the Association of Garda Sergeants & Inspectors attached to Ireland’s national police force. Will I get access to Joanne one-on-one? Yes! You also will get access to a private peer to peer forum where you can share knowledge and expertise with your unique professional counterparts. Joanne will be there answering your questions. She will also host all modules and will deliver a monthly Officer Hours live video where Diploma students join to ask questions that are posing a difficulty for them right now at work. Yes. All Diploma attendees share and learn from each other. But we ask that scenario-based questions are anonymised. The learning hub and community forum are for Diploma members and public sector marketing pros only. The Diploma is accredited by the CPD Standards Office. We have gone through an application process and have had all our modules approved before they are released. Your accreditation is recognised in 22 countries including Ireland, UK, mainland Europe and the USA. Why was CPD the chosen awarding body? Joanne Sweeney-Burke designed this Diploma knowing that all current, similar academic courses available are general, speak mostly to the corporate sector, and have one dimensional qualifications attached to them. A lot of time went into researching how best to measure the learning associated with this Diploma. However, a clear answer emerged. Continuous Professional Development is well recognized and well utilized in Ireland. Employers in Ireland's public sector increasingly expect their staff to undertake CPD, and even measure them on it. The ethos of CPD is learning based on your professional role, that slots into your work, and moves with you should you change roles - an important feature when making the decision. A primary benefit of CPD is ensuring that standards across the company are high and consistent, and that you, as an employee, are consistent with these standards. The organisation and the logo are recognized globally by regulators, professional bodies and institutions. CPD also has a strict advisory board who evaluate which training programs to accredit. This superior standard reflects the learning provided by the Diploma in Digital Communications for Public Sector. Are there exams, how am I assessed? No, this Diploma has been developed with your busy working schedule in mind. It is task based, and relates back to what is happening in your workplace, making it the optimum way to put your learning into practice. This Diploma is about equipping you with the skills and expertise to manage digital communications, in your current, and future work environments. The strategic and critical thinking you develop is unique to you and you're putting it into practice - it creates successful outcomes and results in your role that quantify your learning. This is further backed up by each monthly CPD certificate which will move with you on your career path. I need to convince my boss / senior management that I should do the Diploma, how can I do that? Often, it’s difficult for senior leadership to see the value of digital communications if they aren’t ‘bought in’ themselves to digital transformation. In fact, this is one of the biggest barriers to digital evolution within organisations. We suggest to your manager that you are interested in the Diploma because you feel that you can drive and support the team in digital transformation. This is an investment for your department or organisation and having an in-house expert will reduce consulting fees, in-house training requirements and build digital skills capacity. We also suggest that you stress the demand on the organisation to be more relevant in the Digital Age, providing mobile friendly content, be equipped with strong online crisis management skills and deliver campaigns and messaging that deliver results. If they're still not convinced, why not suggest they jump on a call with JSB. My CPD budget doesn’t cover the cost of the Diploma, how can I pay for it? The value of the Diploma for the organisation cannot be over-stated. Each month the learner will brings new skills, critical thinking, strategies and work practices back into the organisation. Most public sector organisations have a budget for training and consulting and the Diploma investment should be seen as more than just investing in a staff member’s continuing professional development because you are representing your organisation on the Diploma and simply not just yourself. I think my department would benefit from more than one person taking the Diploma, can we do this? Yes, oftentimes, more than one person is responsible for digital communications, and so this Diploma is ideally suited to colleagues completing it together. We offer a 20% discount for a second colleague from your organisation. For more than two staff members, contact us directly to discuss your discount. Ditch overwhelm and embrace structure and clarity. The custom-created JSB Talks Digital content will provide you what you need to know. The learning hub will be your one-stop-shop for ongoing news and feature changes on the social networks shared with you via webinars, podcasts, blog posts and videos. I’ve been looking at other industry courses with different accreditations, I’m not sure if this course is for me? The Diploma in Digital Communications for Public Sector has been designed specifically for public sector marketing pros. It is based on 10 years of one-to-one work with public sector and Government agencies, understanding the gaps, blockages, mindsets, workflows, cultures and restrictions to develop digital communications in the public sector. Benefit from working directly with Joanne who is not only an academic or teacher, she is a practitioner. It’s very unusual to find a digital expert with a background in journalism, PR, politics and corporate communications and who actually produces digital content and strategies on a daily basis not only for themselves but also for public sector agencies. I’m unsure if the Diploma is value for money? Elevate your confident, competency and courage to lead out on digital transformation in your organisation. 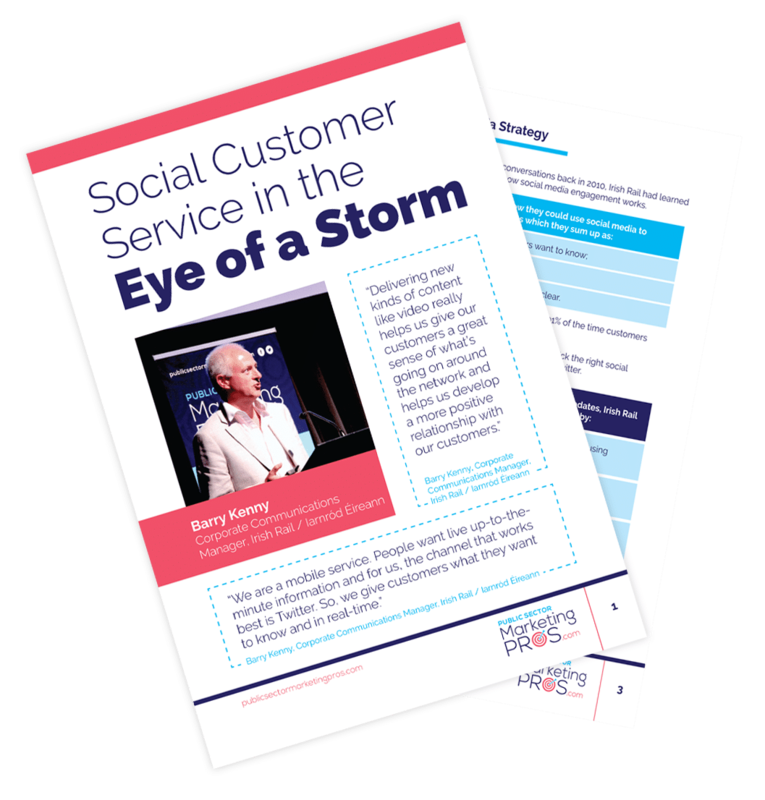 This is a unique offering for public sector marketing pros, delivering value each and every month, and transforming your knowledge and skills to help you for your entire career. I’m in a different country/time zone. Can I still complete the Diploma? Absolutely! The beauty of online delivery is you can fit it into your own schedule. The live Q&A sessions will be completed at different times to suit our international participants, they are also recorded so you can access at a time that suits you. The forum is open permanently so you can dip in and out when you please. We all will learn from peer experiences so international input only adds to our shared knowledge base!